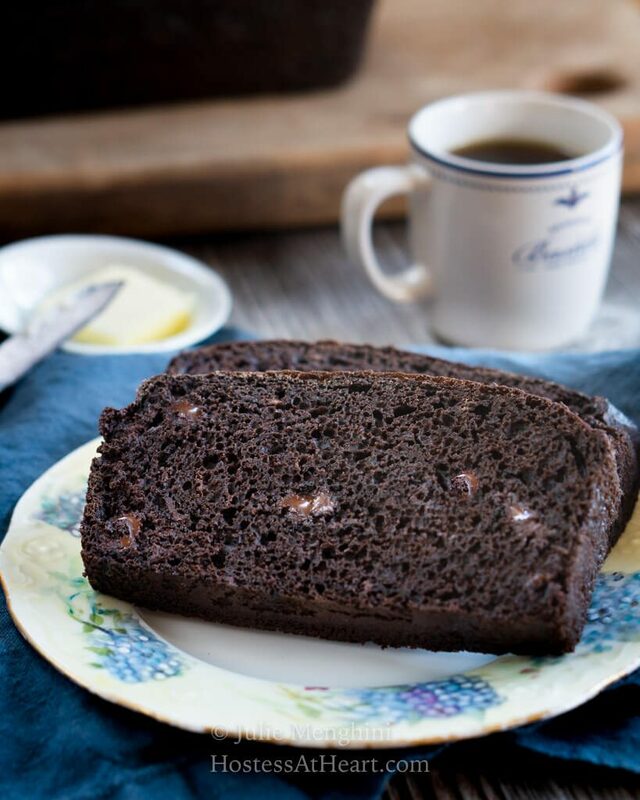 This Decadent Dark Chocolate Banana Bread is perfect for breakfast with a cup of coffee or it makes the perfect accompaniment to a cup of soup for dinner. 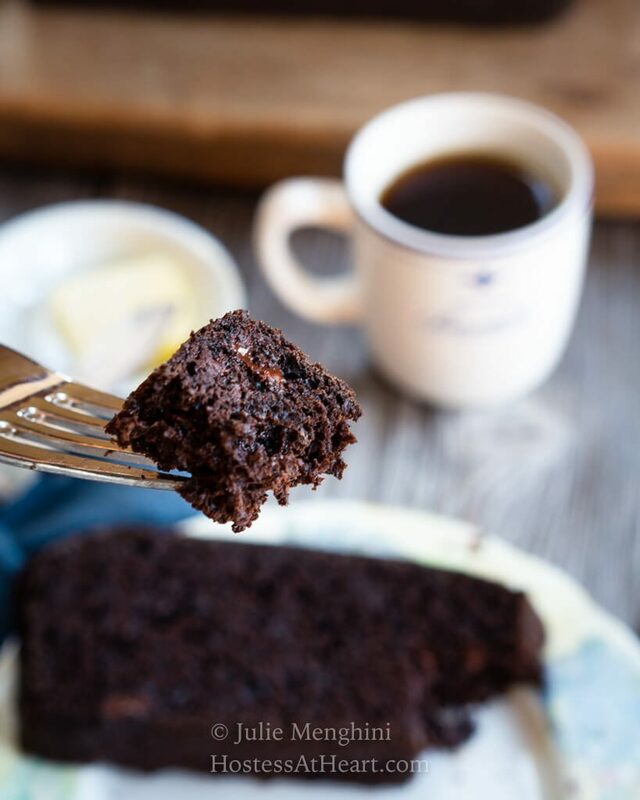 When you’re looking for something that’s just a little sweet this Decadent Dark Chocolate Banana Bread fits the bill. The deep chocolate richness and the sweet banana flavors definitely shine through. I love making quick breads. When I say quick bread I mean bread that doesn’t use yeast or needs time to rise before baking. Quick bread usually has a soft moist interior but a denser crumb than what is usually found in a cake. Quick bread is easy to make and there are so many varieties so there is at least one that works with whatever you’re going for. They don’t have to be sweet either. Back to the bread! Some flavors just go together. Depending on where you are from may determine what combinations appeal to you. Elvis Presley liked fried peanut butter banana bacon sandwiches. That isn’t high on my list. 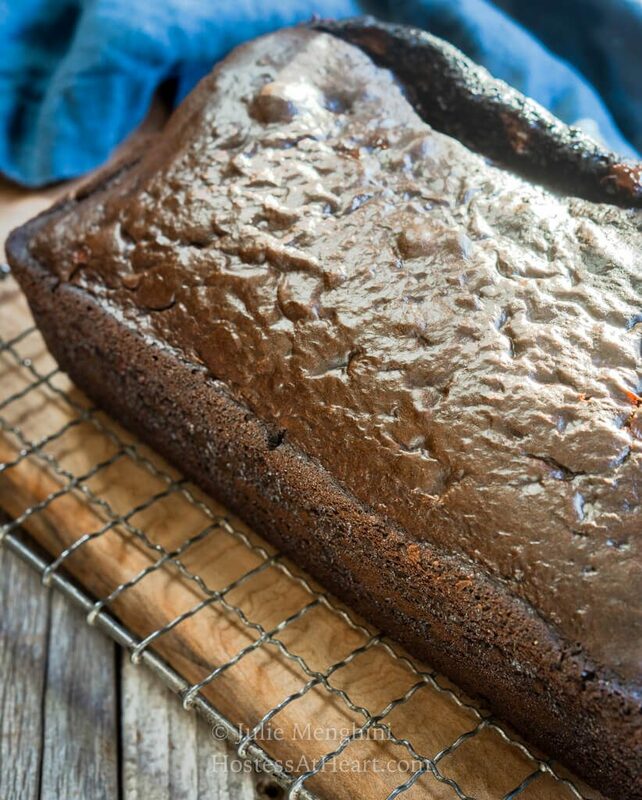 This Dark Chocolate Banana Bread is though. I don’t know if it’s because I could put chocolate on anything, but this bread is delicious! 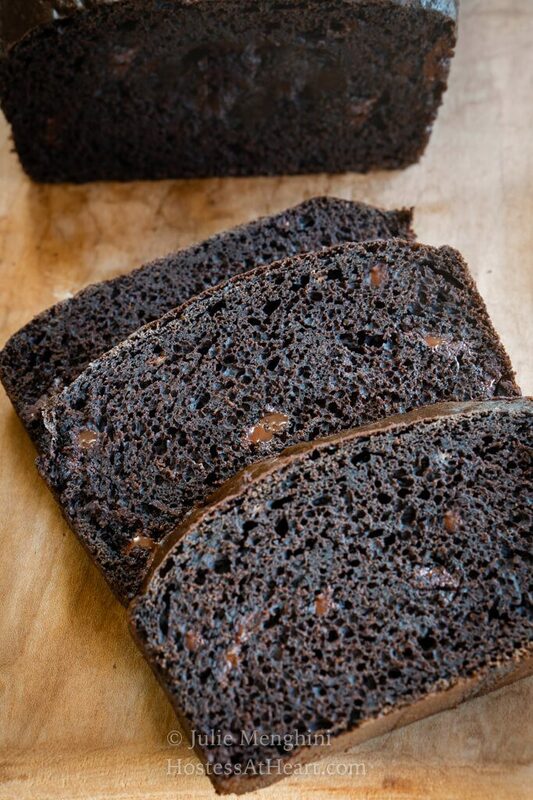 You don’t have to use dark chocolate to make this bread but I love how you get a rich chocolate flavor without being too sweet. When I make a savory or spicy dish I like to pair it with a sweeter one. This bread was amazing served on the side of my amazing chili recipe. 1 cup chocolate chips you can add any variety. I used dark. Preheat oven to 350°F. Spray or grease 1 loaf pan with the non-stick method of your choice. In the bowl of an electric mixer combine mashed bananas, buttermilk, sugar, salt, vanilla, and espresso powder. Blend together until smooth. Add eggs one at a time and mix until completely blended. In a medium-sized bowl, sift flours, baking powder, baking soda, and cocoa together. Slowly add dry ingredients to the wet ingredients. Mix until just combined. Stir in chocolate chips and mix just until combined. Pour into the prepared bread pan. Bake 40-45 minutes or until a toothpick inserted comes out clean. 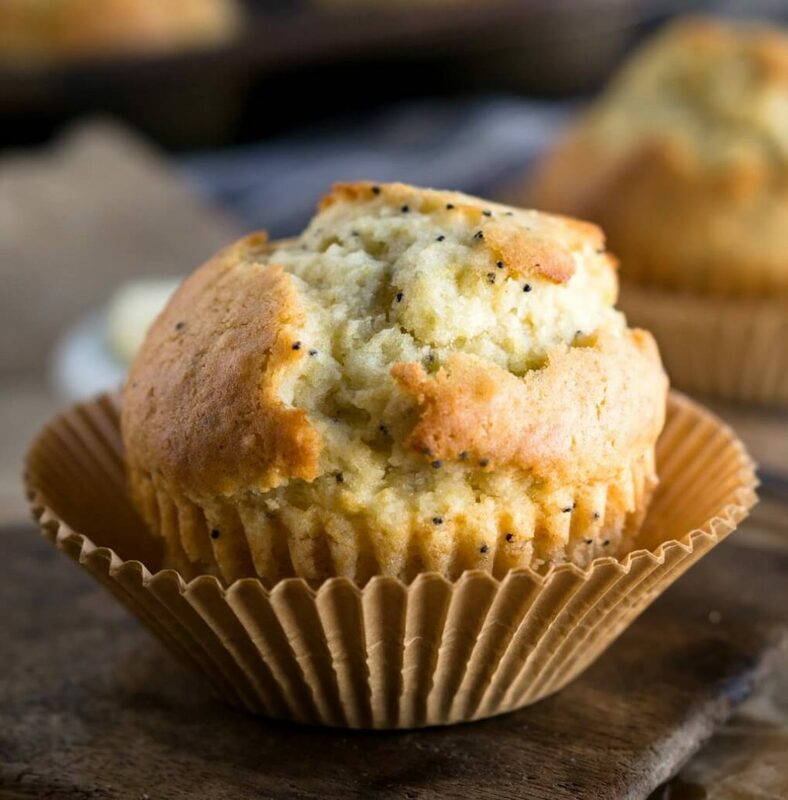 Remove from pan and allow to cool on a cooling rack for 5 minutes and then remove muffins from pan to prevent continued cooking. To make your own buttermilk you can add vinegar or lemon juice to milk. To make 1/2 cup buttermilk combine 1/2 cup of milk with 1/2 tablespoon of vinegar or lemon juice. Let it sit 5 to 10 minutes and then add to your recipe. *I like to add salt to the liquid ingredients. It blends and you are less likely to get a salty bite in your finished baked goods. What is your favorite quick bread? Please share in the comments below. You give me inspiration! 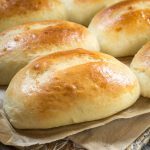 This bread is tender and delicious and if you keep it covered in an airtight container, it will retain its soft texture and flavor for up to a week. It also freezes really well. Just wrap it in plastic and then foil. 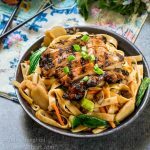 Here are a few other recipes that we love! 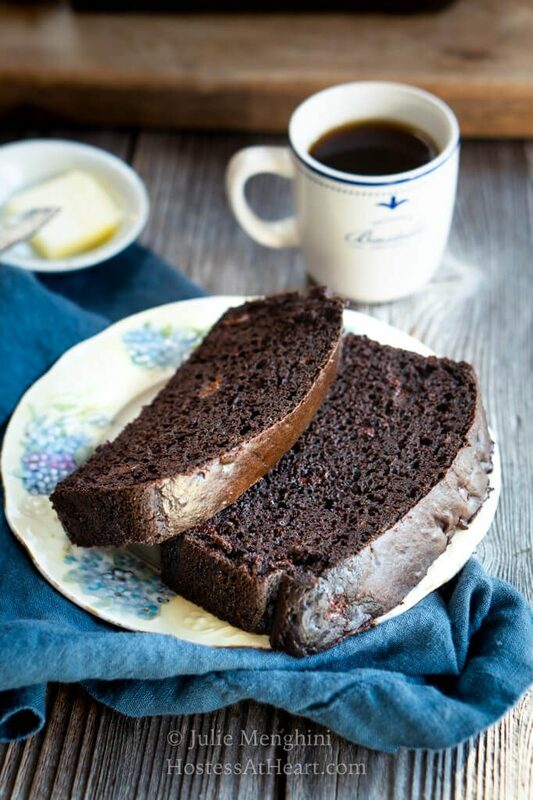 I think banana bread is my spirit animal but this chocolate banana bread really makes my heart swoon! That’s hilarious! Maybe my spirit animal is a food too! Thanks Jennifer! I’m all about this chocolate banana bread. I mean, it has fruit in it, so it is practically breakfast – right? I love the way you think, Kylee! Thank you! I think chocolate in anything is a great idea and the texture on this looks amazing. I have a bunch of bananas sitting here and its a cold California morning so its a perfect morning to make this to warm up my kitchen! Thank you, Michele! I made this recipe again this morning and doubled it. One loaf and 18 muffins later and my freezer is holiday ready. That looks absolutely fudgy and delicious!! I have some sad looking bananas on my counter that can’t wait to become this awesome bread! This bread sounds so incredible! I love the combination of chocolate and banana! Thank you, Madi! 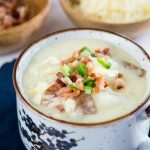 I’ve made them several times and really enjoy them! Thank you, Sandra! 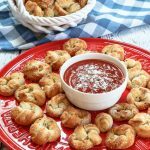 I’ve made this one several times and even loading up the freezer when I have a snack attack! I love the combination of chocolate and banana. This bread looks so decadent and delicious. I got all my ingredients ready to make it tomorrow! Thank you Kathy! I hope you enjoy it as much as we do. Thank you, Lily! I’m always up for more chocolate! I have another batch of bananas just begging to be made into this recipe! Thank you for the heads up on the recipe. It’s updated. I’d hate missing an opportunity for more chocolate! You’ll have to let me know if you make it and how you like it. Yay! Let me know what you think Judi! You can also make them into muffins. It makes about 18 so I could put them in the freezer instead of trying to eat the whole loaf myself. Thank you, Loretta! We are great minds Loretta and I definitely need to start freezing half before I grow out of my fat pants LOL! Loved chocolate with my overripe bananas, great breakfast. Thank you, Justine! This is a great way to get our day started right? This bread puts me in chocolate heaven! I can’t wait to try it! Thank you, Taylor! I have a similar love of everything chocolate! The rich deep chocolate in this banana (literally) takes my breath away. How lucky your family is, to be able to dive into this luscious treat! Thank you, Dan! Our family is why we do this right? This bread was definitely a win and I may never eat regular banana bread again LOL! You had me at Dark Chocolate! This bread looks more like a cake then a breakfast bread… but the banana’s make it healthy right? I love the way you think, Jenn! 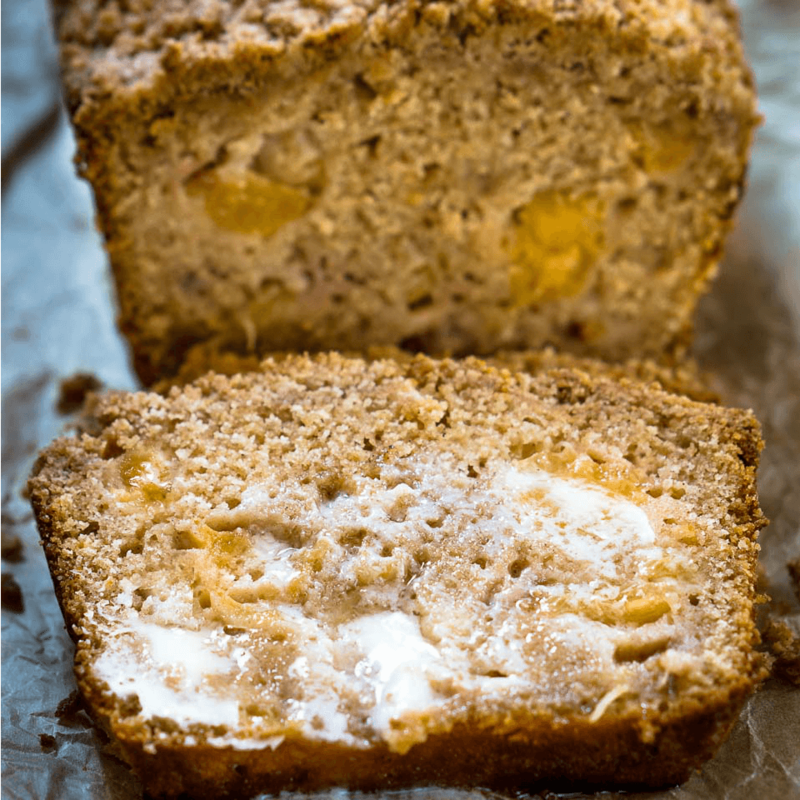 I loved it for all three meals of the day and am anxiously waiting for my bananas to ripen for another loaf. It’s so good. Thanks for stopping by! This recipe looks so scrumptious! I will be trying this one for sure! Thank you, Jennifer! We loved this one! Nothing beats this banana bread. It’s my absolute favorite!! It’s simply amazing and oh so chocolaty!! Thank you, Renee! 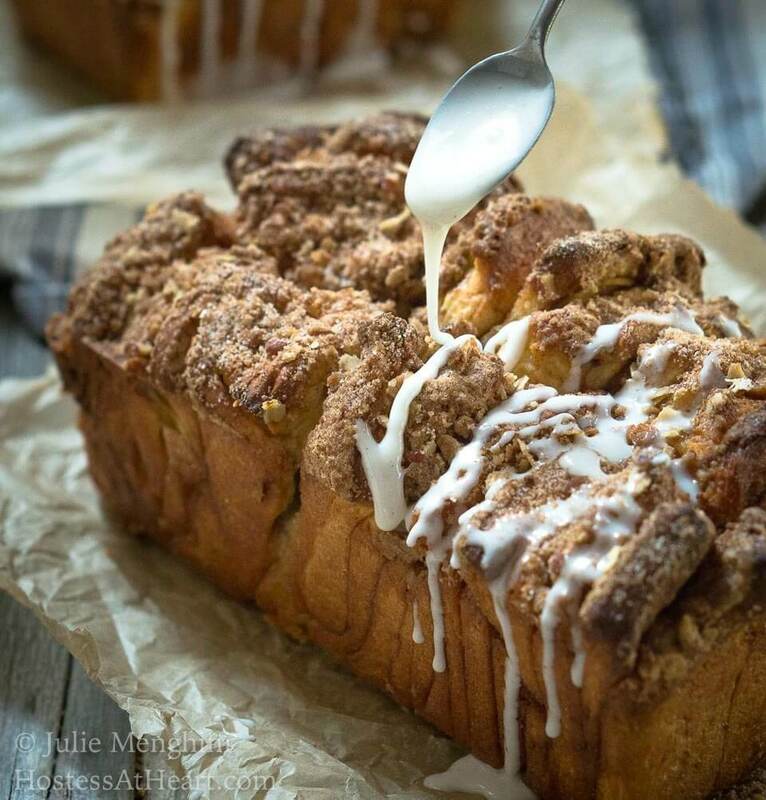 I’m no longer trying to eat my bananas before they get ripe so I can make this bread!